When teaching your clients cognitive behavioral therapy(CBT) skills, it is important to help them gain an understanding of common thinking errors and how they affect thoughts, feelings and behaviors. When a person has a pattern of negative thinking, it will skew the way they see and understand how they fit into a situation. 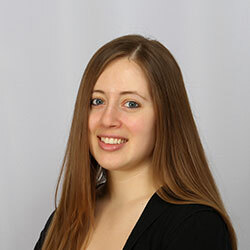 This will affect how they feel they should respond to that given situation, which can cause problems for your client. 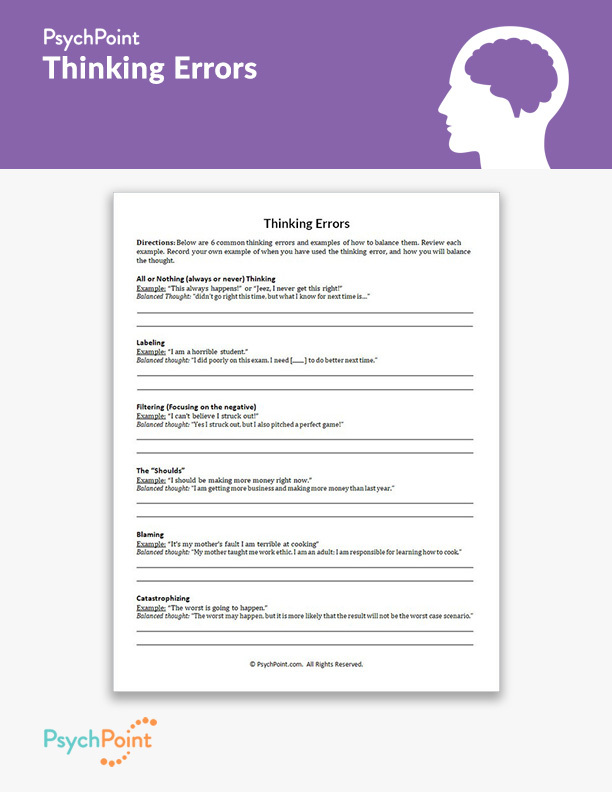 This is the Thinking Errors worksheet. 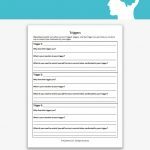 This worksheet helps clients understand how thinking errors affect the way they understand upsetting situations. It also provides an example of how each thinking error can be challenged with a healthier balanced thought that reduces the negative emotions that re felt in response to the situation. Each of the thinking errors includes an example of the thinking error and a balanced thought. 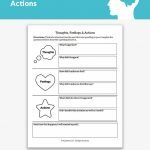 The worksheet provides space for writing under each thinking error, where the client may record their own example and balanced thought. Review each of the 6 types of thinking errors with your client. The worksheet provides space for writing under each thinking error, where the client may record their own example and balanced thought. After the client has reviewed each type of thinking error, have them identify the 2 thinking errors that they most often experience in their own lives. 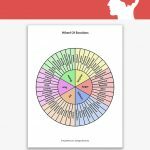 This worksheet is great for adults and can be used in group therapy, couples therapy or individual sessions.